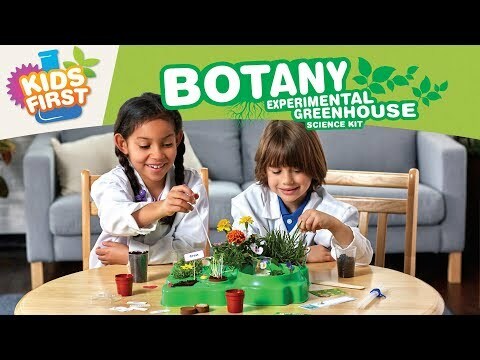 Budding botanists will love getting their hands dirty with this fun biological experiment kit. Learn about seeds and plants by conducting 30 different experiments in a botanical laboratory with greenhouse domes, complete with thermometers and ventilation. Discover what makes plants grow, learn how seeds germinate and how each plant has different needs. Grow beans, cress and zinnia flowers, then construct an automatic watering system to keep your plants from getting thirsty. Complete with a fully detailed and illustrated guidebook, a fantastically fun set to encourage green fingers at a young age. 30 experiments included to learn about botany. Box Size: 14" x 11.5" x 3"